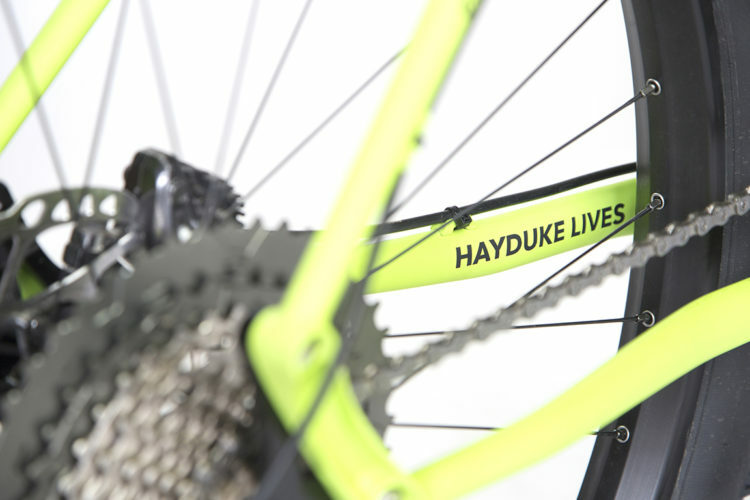 All photos courtesy Esker Cycles. 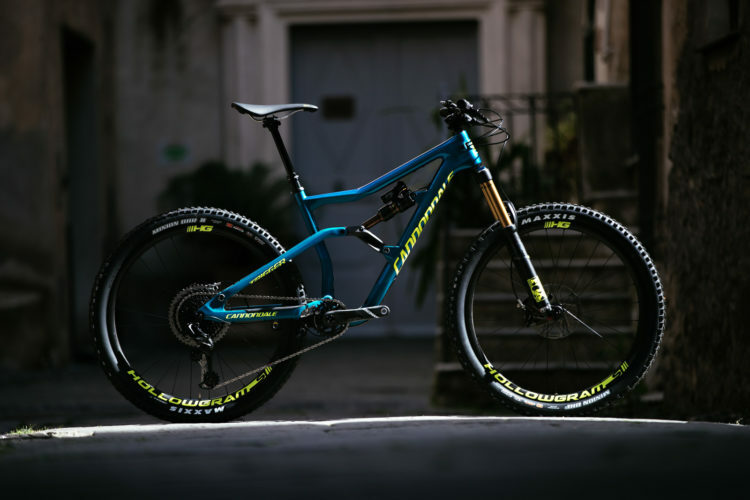 It’s not every day a new mountain bike brand launches, and few dare to start with a high-end carbon fiber trail bike. 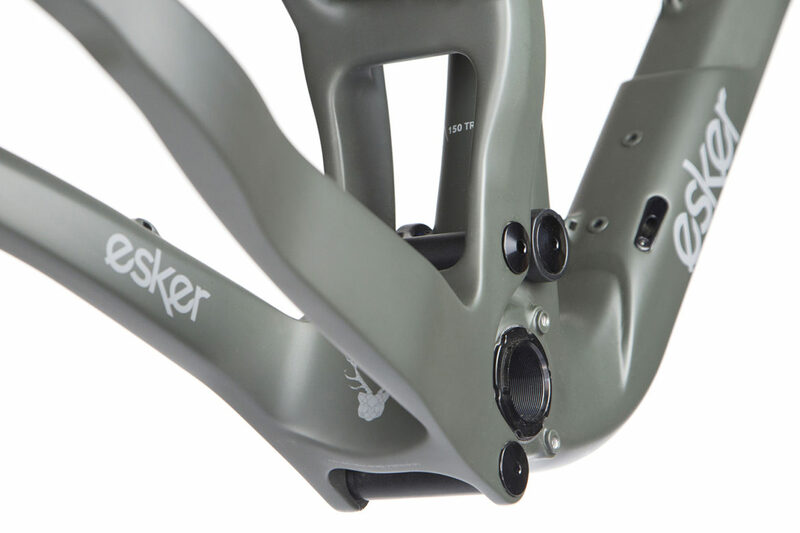 Esker Cycles is a rider-centered brand with a team that claims more than 100 years of collective bike industry experience. Judging by their first bike, the Elkat, it appears they are not messing around. 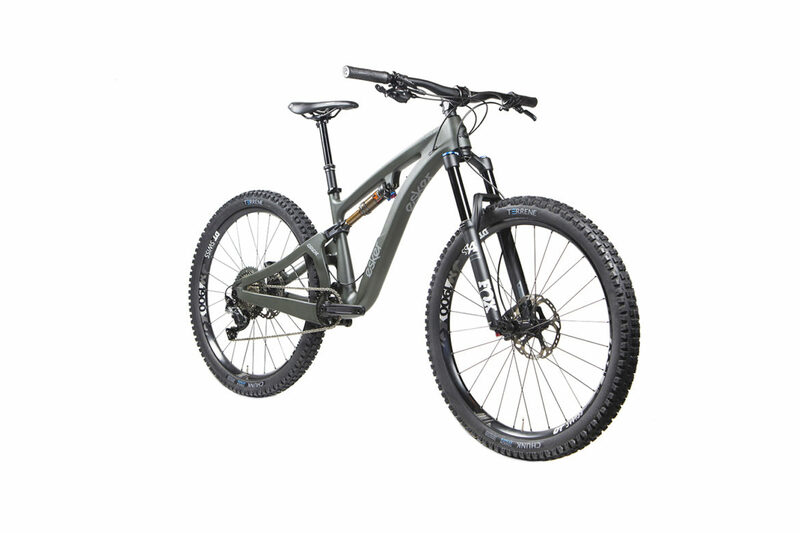 While full details are not available yet, the carbon-fiber Elkat is said to offer 150mm of travel and rolls on 27.5″ wheels. 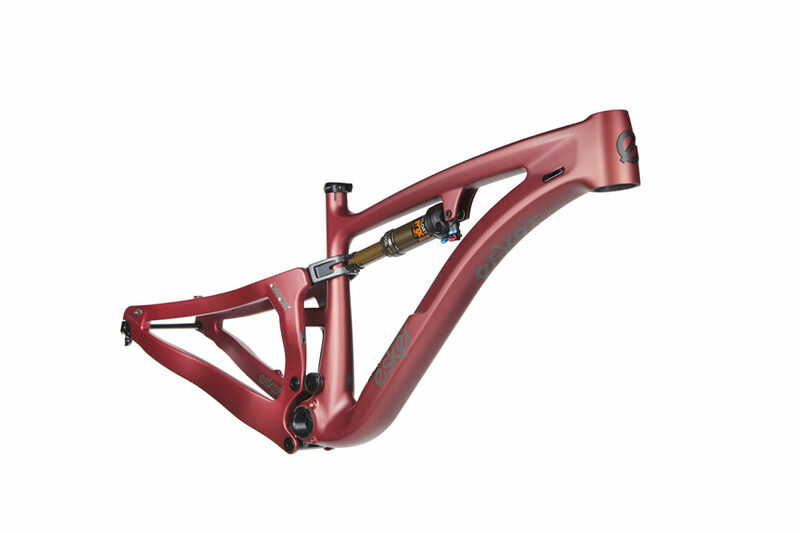 A frame with a Fox DPS shock, rear axle, headset, and seat collar will set buyers back $3,000. Complete builds start at $4,000 and go up from there depending on upgrades. 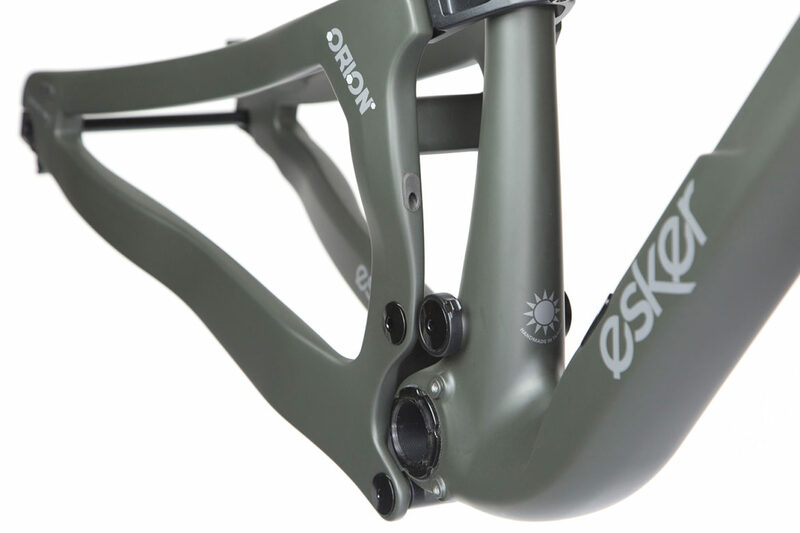 Esker Cycles plans to have demo bikes at consumer events this fall, with initial deliveries starting in December. The company is currently accepting pre-orders for the Elkat with a $500 deposit. I’d say it’s a mountainbike. I rode it at Outerbike Crested Butte, loved it. 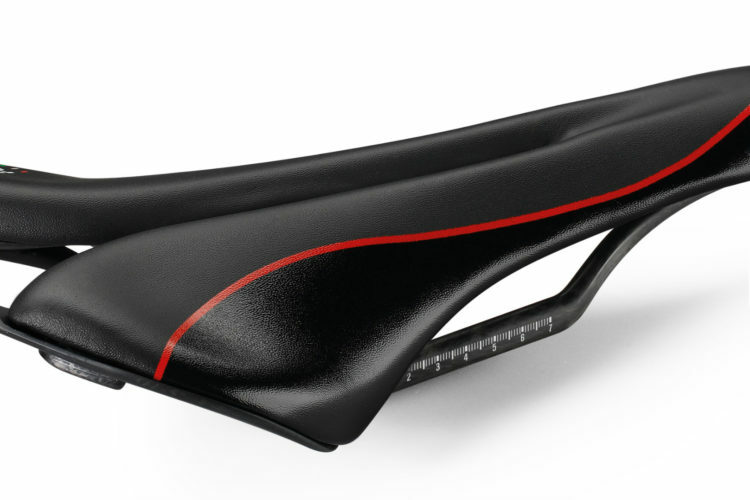 The closest thing I would compare it to is the Pivot Mach 6. 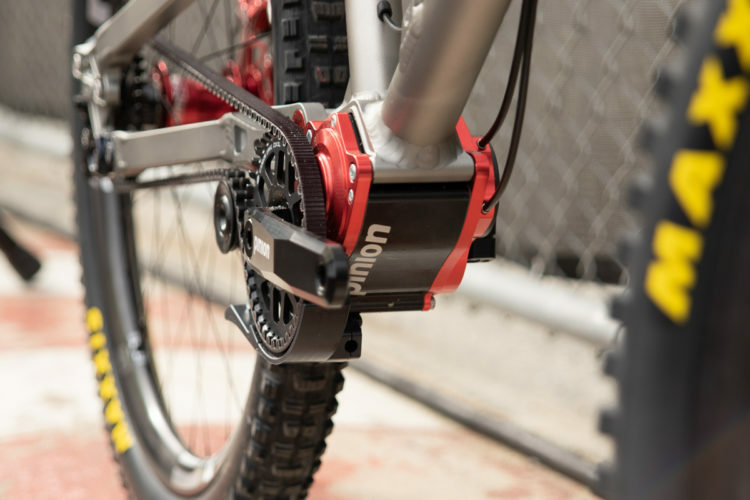 It has a very stable platform for uphill pedaling. I tried to use bad form and mashed it to see how much it would give. I was blown away by how efficient it was in climbing. 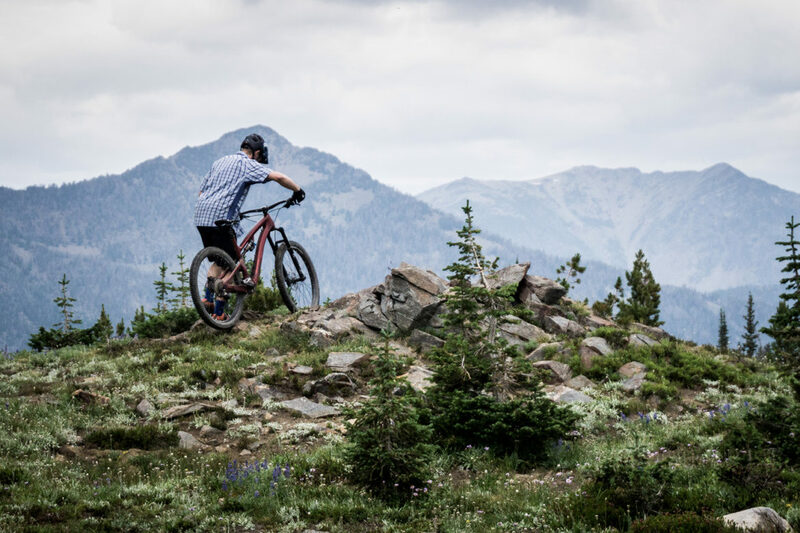 There is a run at Crested Butte resort called luge that is as the name would imply and a ton of fun, but chattery after rains expose more rocks. Other bikes were wrist aches on that run. The Esker Elkat was smooth and responsive, the perfect machine. 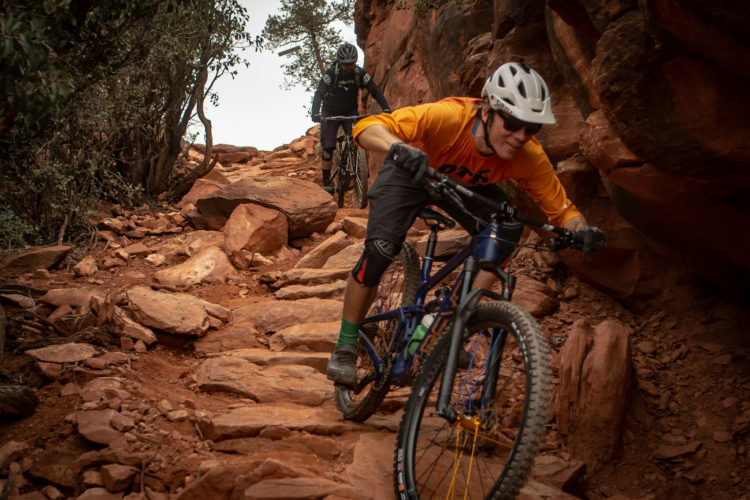 I mix standing pedaling (a la Bike James) to maintain core and back while uphill mountain biking so I really appreciate a well-designed suspension. 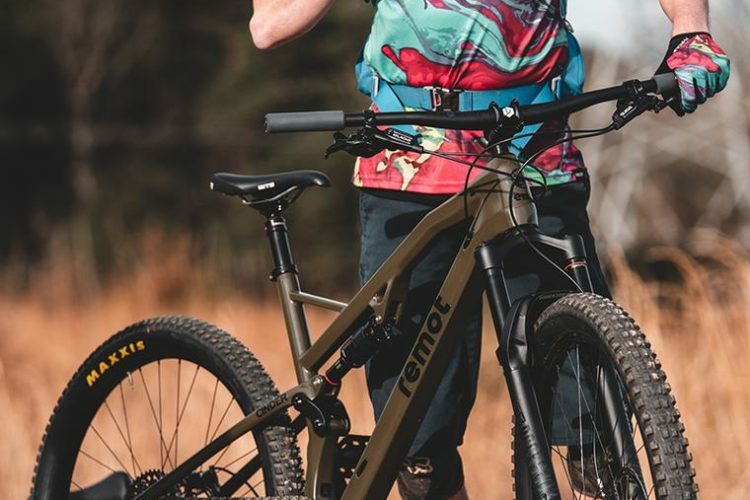 I have been riding Ibis and love it but I have to admit, Esker does everything Ibis does, yet makes the ride more comfortable.